Stanley Kurtz is a senior fellow at the Ethics and Public Policy Center in Washington, D.C. He is also the author of "Radical-in-Chief: Barack Obama and the Untold Story of American Socialism". 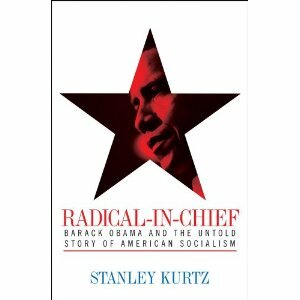 In his new book, (which references the New Zeal blog) Mr Kurtz confirms President Barack Obama's long time links to the US's largest marxist organization, Democratic Socialists of America. In a new article in National Review Online , Mr Kurtz confirms something I first speculated on here, that Barack Obama had attended D.S.A. 's annual Socialist Scholar's Conferences in New York, in the early 1980s. On the afternoon of April 1, 1983, Barack Obama, then a senior at Columbia University, made his way into the Great Hall of Manhattan’s Cooper Union to attend a “Socialist Scholars Conference.” There Obama discovered his vocation as a community organizer, as well as a political program to guide him throughout his life. The conference itself was not a secret, but it held a secret, for it was there that a demoralized and frustrated socialist movement largely set aside strategies of nationalization and turned increasingly to local organizing as a way around the Reagan presidency — and its own spotty reputation. In the early 1980s, America’s socialists discovered what Saul Alinsky had always known: “Community organizing” is a euphemism behind which advocates of a radical vision of America could advance their cause without the bothersome label “socialist” drawing adverse attention to their efforts. A loose accusation of his being a socialist has trailed Obama for years, but without real evidence that he saw himself as part of this radical tradition. But the evidence exists, if not in plain sight then in the archives — for example, the archived files of the Democratic Socialists of America (DSA), which include Obama’s name on a conference registration list. That, along with some misleading admissions in the president’s memoir, Dreams from My Father, makes it clear that Obama attended the 1983 and 1984 Socialist Scholars conferences, and quite possibly the 1985 conclave as well. A detailed account of these conferences (along with many other events from Obama’s radical past) and the evidence for Obama’s attendance at them can be found in my new book, Radical-in-Chief: Barack Obama and the Untold Story of American Socialism. The 1983 Cooper Union Conference, billed as a tribute to Marx, was precisely when Obama discovered his vocation for community organizing. Obama’s account of his turn to community organizing doesn’t add up. He portrays it as a mere impulse based on little actual knowledge. But that impulse saw Obama through two years of failed job searches. Clearly he had a deeper motivation. The evidence suggests he found it at the Socialist Scholars conferences, where he encountered the entrancing double idea that America could be transformed by a kind of undercover socialism, and that African Americans would be the key figures in advancing community organizing. Kurtz also confirms another New Zeal thesis, that the cross class, multi-racial movement that put Obama in the White house, was modeled on the the communist/socialist backed alliance that made far-left Harold Washington mayor of Chicago in 1983. The 1983 conference took place in the shadow of Harold Washington’s first race for mayor of Chicago. Washington was not only Obama’s political idol, he was the darling of America’s socialists in the mid-1980s. Washington assembled a “rainbow” coalition of blacks, Hispanics, and left-leaning whites to overturn the power of Chicago’s centrist Democratic machine. Washington worked eagerly and openly with Chicago’s small but influential contingent of socialists, many of whom brought the community organizations and labor unions they led onto the Washington bandwagon. 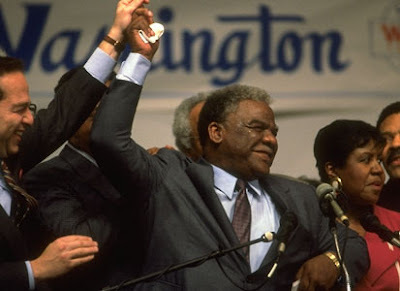 America’s socialists saw the Harold Washington campaign as a model for their ultimate goal of pushing the Democrats to the left by polarizing the country along class lines. This socialist “realignment” strategy envisioned driving business interests out of a newly radicalized Democratic party. The loss was to be more than made up for through a newly energized coalition of poor and minority voters, led by minority politicians on the model of Harold Washington. The new coalitions would draw on the open or quiet direction of socialist community organizers, from whose ranks new Harold Washingtons would emerge. Groups like ACORN and Project Vote would swell the Democrats with poor and minority voters and, with the country divided by class, socialism would emerge as the natural ideology of the have-nots. Mr Kurtz also specifically names two leading D.S.A. members Frances Fox Piven and Peter Dreier as driving the strategy that eventually brought Obama to power. Interestingly Frances Fox Piven was also a leader of the radical New Party, which Obama joined in Chicago in the mid 1990s and was later an endorser of Progressives for Obama in 2008. Figures pushing this broader strategy at the 1983 Socialist Scholars Conference included ACORN adviser Frances Fox Piven and organizing theorist Peter Dreier, now a professor at Occidental College and an adviser to Obama’s 2008 presidential campaign. That is to say, Obama’s connection to socialist ideologues didn’t end with his recruitment into the ranks of community organizers. It began there and blossomed into a quarter century of intricate relationships with both on-the-record and in-all-but-name socialists. Kurtz also brings in Obama's former pastor, the marxist and D.S.A. connected Rev. Jeremiah Wright and the father of Black liberation theology, the also D.S.A. allied James "white man is the Devil" Cone. I’ve spent the last two years in the archives unraveling the connections. Here are a few. By the mid-1980s, James Cone, Jeremiah Wright’s theological mentor, had struck up a close cooperative relationship with the DSA. Cone and a prominent follower spoke at the conferences Obama attended. Shortly after the 1984 conference, Cone joined Reverend Wright in Cuba, where they expressed support for the Cuban social system as a model for the United States. Wright touted his Cuba trips to his congregation for years. Obama would have quickly discovered Wright’s ties to the liberation theologians he’d first learned of at the Socialist Scholars conferences. The connection helps explain Obama’s choice of Wright as his pastor. Mr Kurtz also devotes a lot of space to Obama and the D.S.A. controlled Midwest Academy, D.S.A. "friend" Heather Booth and Obama's pro-Soviet political patron, Alice Palmer. A little-known Chicago training institute for community organizers, the Midwest Academy, is in many ways the key to Barack Obama’s political rise. The Midwest Academy was closely allied to the DSA, which sponsored the Socialist Scholars conferences in New York. Most Midwest Academy leaders remained quiet about their socialism. Inspired by the success of the American Communist “Popular Front,” and by 19th-century American reformers who used populist and communitarian language to achieve socialist ends through incremental legislative means, the Midwest Academy’s leaders advocated a strategy of stealth. Officials from the Midwest Academy network trained Obama, supplied him with funds, and got him appointed head of Illinois Project Vote. Years later, Obama sent foundation money to the Midwest Academy. Barack and Michelle Obama ran a project called “Public Allies” that was effectively an extension of the Midwest Academy. Alice Palmer, the Illinois state senator who chose Obama as her successor, was once a high official in the Midwest Academy network. Several Midwest Academy leaders advised Obama’s 2008 presidential campaign. Academy founder Heather Booth is now a key figure in coordinating grassroots support for the president’s budget, health-care, and financial-reform plans. Stanley Kurtz sums up the article with an explanation of why Obama's hidden socialist ties are so important. As I detail at length in Radical-in-Chief, deceptions and glaring omissions about his radical past reach far beyond Obama’s involvement with the Socialist Scholars conferences and the Midwest Academy. Archival documents reveal that Obama lied during the 2008 campaign about his ties to ACORN. 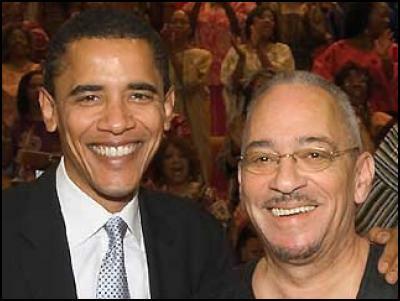 New evidence confirms that Obama has hidden the truth about his relationships to Jeremiah Wright and Bill Ayers. The unknown story of Obama’s deep involvement with a radical group called UNO of Chicago is revealed. The claims of candidate Obama and his mentors that he shunned Saul Alinsky’s confrontational tactics turn out to be a sugary fairy tale. The obfuscating techniques of Obama’s memoir, Dreams from My Father, are exposed. The pattern of misdirection upon which President Obama’s political career has been built has its roots in the socialist background of community organizing. ACORN, Reverend Wright, and Bill Ayers were all routes into that hidden socialist world, and that is why Obama has had to obscure the truth about these and other elements of his past. More important, the president’s socialist past is still very much alive in the governing philosophy and long-term political strategy of the Obama administration. As we move into the first national election of the Obama presidency, Americans are confronted with a fateful choice. Either we will continue to be subject to President Obama’s radical and only very partially revealed plans for our future, or we will place a strong check on the president’s ambitions. Knowing the truth about Obama’s past is the best way to safeguard our future. Stanley Kurtz's book will be a must read for every serious student of the Obama phenomenon. Buy your copy today. I can't wait to read the book. Mr. Kurtz wrote some great articles during the election exposing Obama's ties to the DSA and their radicals. Obama's ties to a German/Russian spy is very interesting in that I have read rumors that students from Columbia University were secretly recruited as spies used in Pakistan during the time Obama attended there. It is documented that Obama visited Pakistan during this time. The more we learn about our President, the worse it gets. I've been wondering where Stanley went. He was blocked from getting documents during the campaign and few would listen. Thanks for the info.